I was on a 139 today heading from Oxford Circus up to West Hampstead. 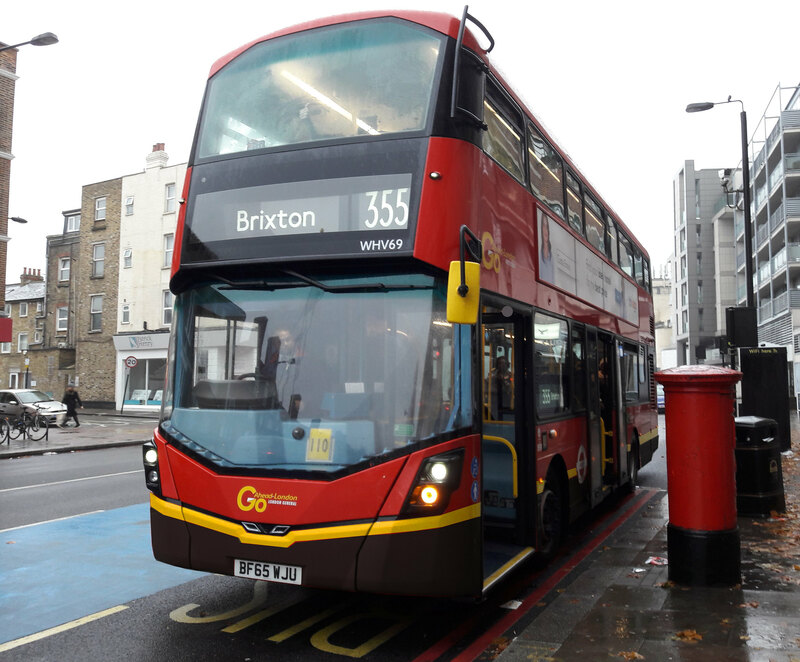 Due to service disruptions between Oxford Street and Picadilly Circus, the driver was flooring it down Rossmore Road and Lisson Grove to try and make up time, so much so that he (purposely) missed about 3 stops where people intended to board. I was fine with this until we got to 'St John's Wood Road/Lord's Cricket Ground'. The driver was hastily pulling away from the stop when a suddenly a young man walked straight out into the road and got hit. Thankfully he wasn't injured, got up fairly quickly and recognised that it was his fault for being too preoccupied with whatever was on his phone. It's extremely lucky for the driver that neither party decided to report the incident, as had it been more serious I'm sure the CCTV footage would come under scrutiny. Speeding past waving passengers in 20mph school zones, driving erratically down busy roads, then hitting a person to top it all off would I'm sure bring very serious sanctions. I just cannot understand why drivers behave like that. If the bus was delayed in the West End it's not the drivers fault, by all means take reasonable steps to claw back some of the lost time but that shouldn't extend to missing stops and exceeding speed limits. Did the driver speak to the person who was hit by the bus? If he didn't he's left himself open to all sorts of allegations. What if the victim suddenly realises he could get a claim out of it and goes to the police? If it was that bad I would report it through the link below. The driver did stop and open the doors to ask if the gentleman was okay, and thankfully he was. He was being very apologetic, mostly out of shock I assume, as he realised he could have been seriously injured. 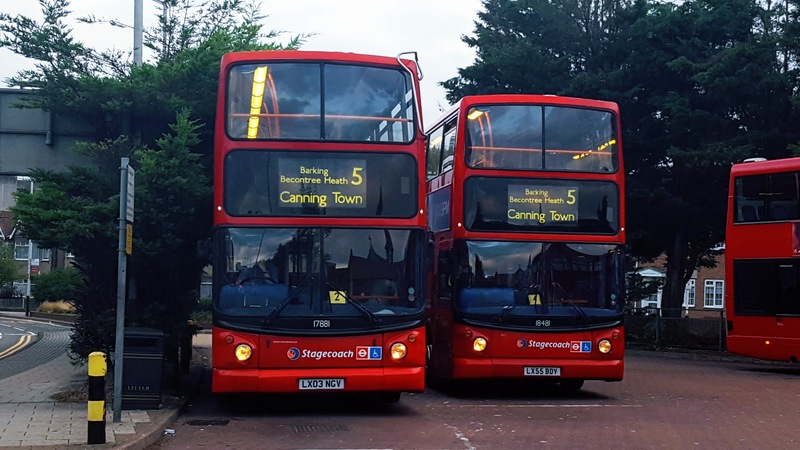 He acknowledged that it wasn't the drivers fault, as he stepped out directly in front of the bus as it pulled away from the stop, so he wasn't angry or annoyed with the driver's behaviour. Yes the accident could have been avoided if the driver wasn't in such a rush, though the same could be said if the gentleman had looked when he crossed the road. Despite moral obligations, I choosing not to report this incident. I wasn't directly affected by this, and not having ever driven a bus or been in an accident of this type, I don't believe that I'm in a position to take such action; It could cost someone their career. The 77A was originally going to have a different number prior to being replaced with 87. Presumably then the change would have likely happened regardless of whether the 87 number was available or not. Yes, IIRC it was part of the Jubilee Line Extension proposals that the 77 would be renumbered 272 (nothing to do with the Jubilee in itself, but the opportunity was being taken to restructure some of the south London routes). Presumably the intention was to renumber 77A to 77 once enough time had passed. I always thought that would have been problematic (and pointless); no matter how much time had elapsed, some people would still remember the old 77 route so there would have been confusion on the common section. For the 2006 contract the 77A/N77 was tendered and awarded as 437/N437 as it was not known at the time that the 87 number would be available. I never realised til now the 77 and 77A changes were going to have a time period in between (assumed it was all at once). Nevertheless like you said the confusion would've still existed, especially where residents are used to the 77 to both St. Thomas's and St George's hospitals. I was going to ask this question some time ago but I forgot! On Wimbledon Road,just before the roubdabout to Garrat Lane,I remember there sometimes standing a route 39 LDP,why was this there? PL is situated very close by possibly to do with that? But wouldn't it make more sense for the bus to be in PL in that case? Is the 424 a hail and ride route between Exeter House & Lytton Grove or does it run non stop through there? My bus pass expires 31 March. When I tap in, I see it on the screen. Today, I noticed on 2 buses that it expires in 4 days. Two more showed the usual display. Has something changed? Could be driver's on meal relief and has the same bus on their second half. What makes Euro 6 really good for the enviroment? The most notable difference will be a massive decrease in the Nitrogen Oxide emission. Euro5 engined diesel buses would emit 180mg of the harmful particle into the atmosphere while Euro6 buses only emit 80mg. I'm not too sure about the following so don't quote me on this but at certain times of year this should mean that the air coming out of the buses in polluted areas should be cleaner than the air around them.